Realtors: Have your commissions been cut? 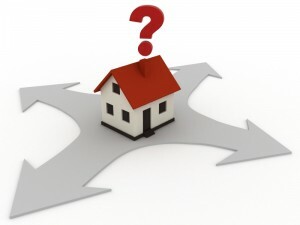 In this highly competitive market many co-op agents are only being offered 2 – 2.5% commission, but not at S&A Homes! We recognize that Realtors are our best partners and our relationship with you is one of our strongest assets. That is why S&A Homes has committed to offering a 3% co-op commission. Yes, 3% on each and every sale. And, there is really only one rule. 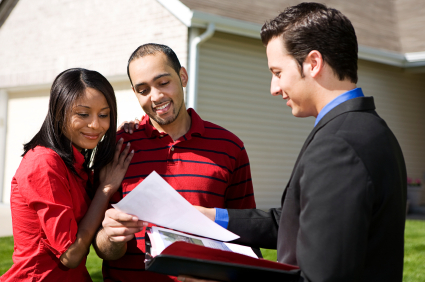 You must accompany your buyer on their first visit and register them at the community they purchase in. After that, you are welcome to participate as much as you want, or as little. The S&A Homes sales team is fully equipped to handle your buyer through the selection process and all the way to the closing table. If you have somethingcome up and can’t make closing, no problem. Think of us as an extension of your sales team, now your buyer has two people to help them with the process of purchasing a new home. 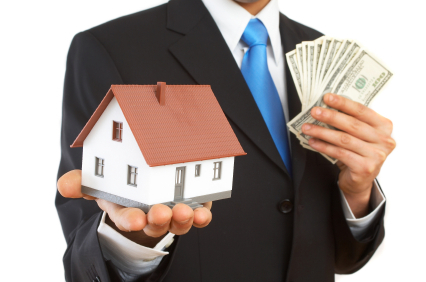 USDA Financing – It’s Back! When the USDA announced in June that it was no longer extending loans to first-time homebuyers, the grumblings from S&A Sales Consultants and homebuyers alike could be heard throughout the states of Pennsylvania and West Virginia. After all, USDA financing is the only program that allows first time buyers to purchase a home with NO MONEY DOWN. • 100% Financing allowed, requiring no money out of pocket for down payment. • Unlike FHA Financing, no monthly Mortgage Insurance Premiums apply. • Gift money can be used for closing costs. • Closing Costs can be rolled into purchase price if appraisal values support doing so and/or seller’s contributions are allowable up to 6%. • Interest Rates are competitive with Conventional & FHA Rates. 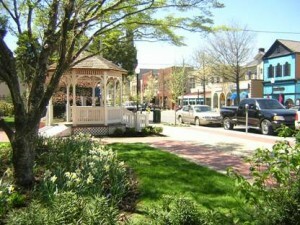 To show the power of this program, take our Bennett Run community in York, PA as an example. This second experience of house building with S&A Homes has shown once again their commitment and dedication to the homeowner and their family. Everyone is a pleasure to work with and they always make sure my questions and concerns are addressed in an efficient and timely manner. I would give any of my family and friends a solid reference for this company for consideration of the construction of their new house. Our experience with our new S&A Home surpassed expectations and we see the quality in the home on a daily basis. S&A differentiates themselves by selecting the highest quality products and by hiring exceptional contractors, sales & staff that were knowledgeable and easy to work with. We realize the value in the ENERGY STAR™ home in our monthly utility bills. The Cobblestone community was the ideal location, but S&A delivered the perfect home. Situated on the banks of the Ohio River, just 20 minutes from downtown Pittsburgh, lies the quaint village of Sewickley, PA. With history dating back to the revolutionary war times, the town evokes images of yesteryear. From its tree-lined streets to the Tudor-style architecture that dots the downtown landscape, Sewickley is home to many community events including the upcoming Annual Fall Gallery Walk. Sewickley is also located in the renowned Quaker Valley School District, whose high school was ranked in the top 2% nationwide by U.S. News in 2006. It is not often that residents are able to purchase an affordable brand new home in an area so steeped in history, culture & education. The never ending stream of conflicting news reports on the state of housing today has left many potential home purchasers sitting on the fence, trying to make heads or tails of the real estate market. The news headlines say it all. Two headlines that appeared next to one another on the Yahoo Finance News Page on August 31st read ‘Home Prices Rise 4.4% in June’ and ‘Home Prices Probably Cooled, Consumer Sentiment Languished’. An oxymoron of sorts, this is just one example of why some potential homebuyers are afraid to make a move. However, it is Time’s recent news story, ‘Rethinking Home Ownership‘, published on September 6th that has really stirred the pot. The article claims that home ownership is dramatically overrated and gives examples like the fact that the average homeowner ONLY receives an additional $542 on their tax refund compared to renters (never mind the hundreds and thousands of dollars that go towards one’s principal investment each month, since that is not discussed in the article). The article also claims that home expenses are ongoing and expensive to homeowners. The opinions outlined in this article are tough for a company like S&A Homes to swallow. Our energy efficient homes save our average homeowner hundreds to thousands of dollars a year in utility savings alone because of our ability to far surpass even ENERGY STAR™ standards. Compare that to the average utility bill for a renter that has no say in the type of energy system, insulation or lighting they pay for. It seems that we are all looking for a little extra cash these days! From joining online coupon sites to looking for deals at local restaurants, every little bit helps. S&A Homes even has a way for you to put a little extra green in your pocket, and it’s easy. Anyone who brings a home buyer to S&A Homes will receive $500 if the friend purchases a new home from S&A Homes. What’s the catch? Well that’s simple. The $500 is payable at closing and your friend must mention the referral the very first visit or bring in the referral card. Carved into the side of the mountain and nestled in the trees in Chambersburg, Pa. is the tucked away S&A Homes community of Eagle Rock. This beautiful neighborhood provides homeowners with the privacy of large 1/3 to 1/2 acre lots and features home packages that start in the $220,000s. Inside Eagle Rock, you’ll find many home plans to choose from including the popular Amesbury floorplan. This plan has everything a homeowner could want in 2,700 square-foot house. Some of the amazing features this four bedroom plan includes are a first floor study, back-to-back living room and dining room providing a flow that is perfect for entertaining, a spacious kitchen that opens to the family room, a large, two-story foyer and hardwood floors in the foyer. Best of all, home buyers know that this is an energy efficient home because of its Energy Star certification. Let’s face it: in today’s economy everyone is doing what they can to save money. Cutting coupons, eating at home, and skipping vacations have become the norm this day in age. 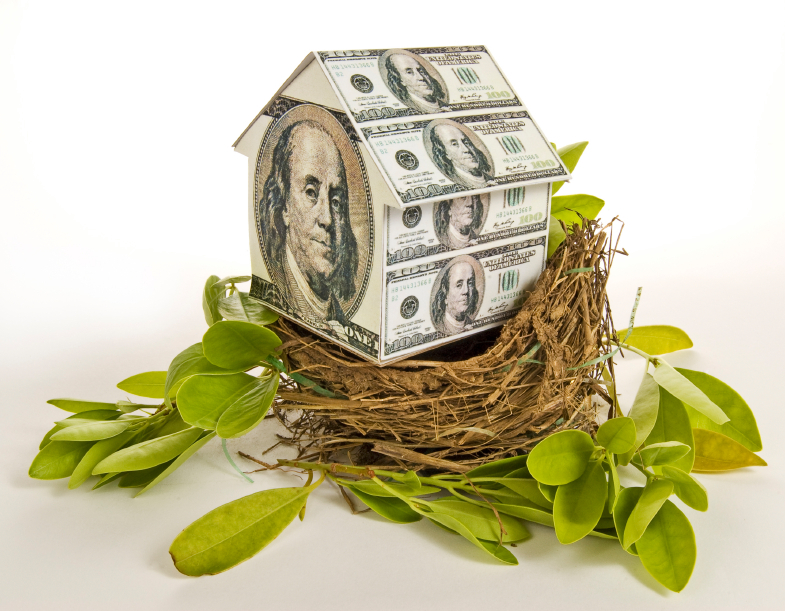 After all, saving a few hundred dollars a month can go a long way towards building a nest egg. As a consumer, it can be difficult to navigate this new realm – how do you know a brand’s claims are for real? 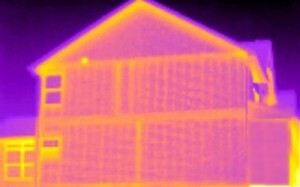 Well, when it comes to energy efficient new homes, there is no better way than the use of thermal imaging. What is thermal imaging? Essentially, it is a picture taken of the home that identifies any air leaks. The majority of heating inefficiencies in homes result from air leaks from improperly sealed its windows, ductwork and entry points for mechanicals.